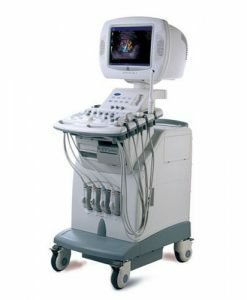 National Ultrasound is honored to offer the products of Mindray, one of the leading global providers of medical devices and solutions. 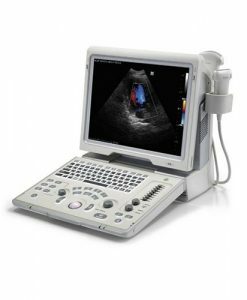 The Mindray DP-50 Portable Ultrasound Machine is a superior black & white, digital ultrasonic diagnostic imaging system that allows you to do more in less time without compromise in the quality of diagnosis. With its X-treme engine and high-speed processing power, the DP-50 provides outstanding image quality and a complete information management solution. 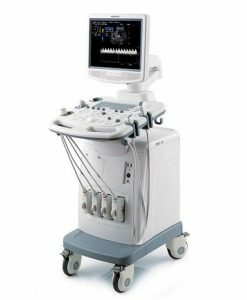 The insightful design of the DP-50 reaches a wide range of clinical applications including abdomen, urology, OB/GYN, small parts, emergency, orthopedics, endocavity, and interventional medicine. A smart new shape—sleek, streamlined, and compact—plus enhanced mobility and more convenient operation make it a system that is well-suited for clinical settings. Features include: user friendly keyboard and controls; lightweight system for enhanced mobility; high resolution, wide-angle 15″ LCD with tilt functionality for better viewing; diagnostic confidence with advanced imaging technologies; iTouch™ one button image optimization; iClear™ speckle reduction; Tissue Harmonic Imaging; intelligent workflow with more efficiency; Quick Save one button image transfer to local drive or directly to USB; onboard reporting with standard templates for various applications; DICOM 3.0 compliant with structured reporting, worklist, print, and storage. 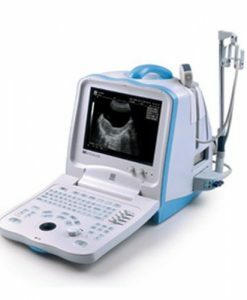 Let the National Ultrasound experts help you determine if the Mindray DP-50 Portable Ultrasound Machine is right for you and your budget. Complete the short quick quote form below to get started. 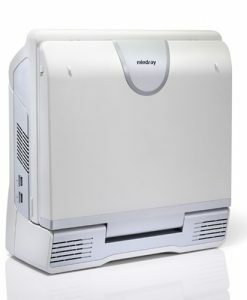 National Ultrasound is the North American Distributor for Mindray. 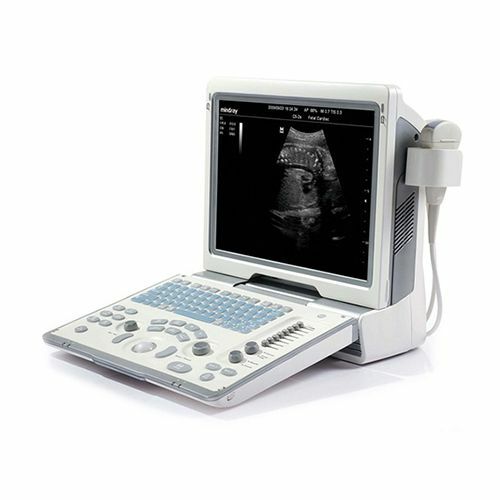 The Mindray DP-50 ultrasound machine is Mindray's most popular portable, black and white ultrasound model. This system currently includes a 3 year parts and labor warranty. Applications training and extended warranties are available. 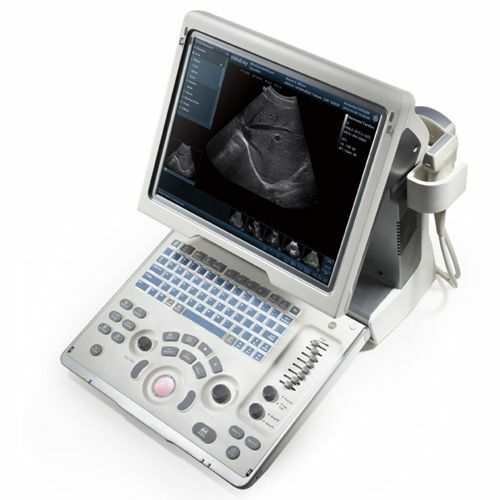 The Mindray DP-50 is perfect for orthpedic, urology, podiatry, rheumatology, basic obstetric and family practices. Similar systems include the DP-30 and Z5.